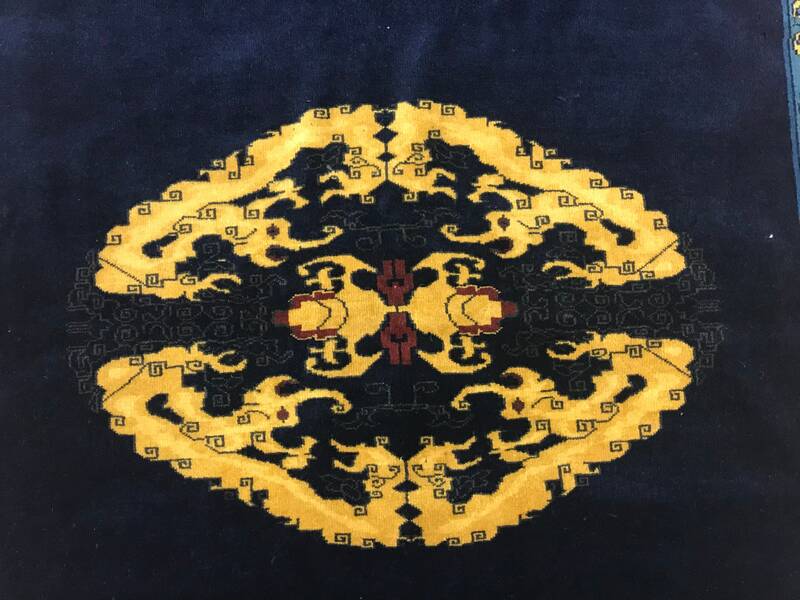 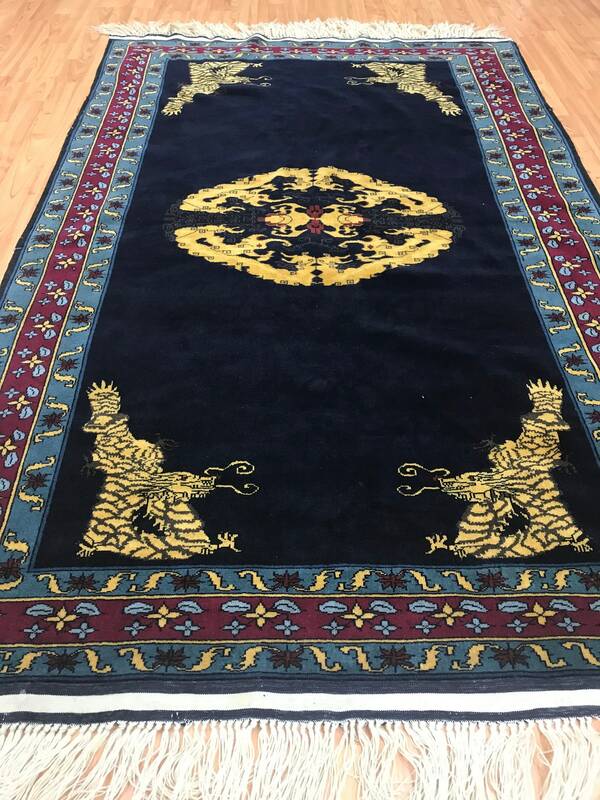 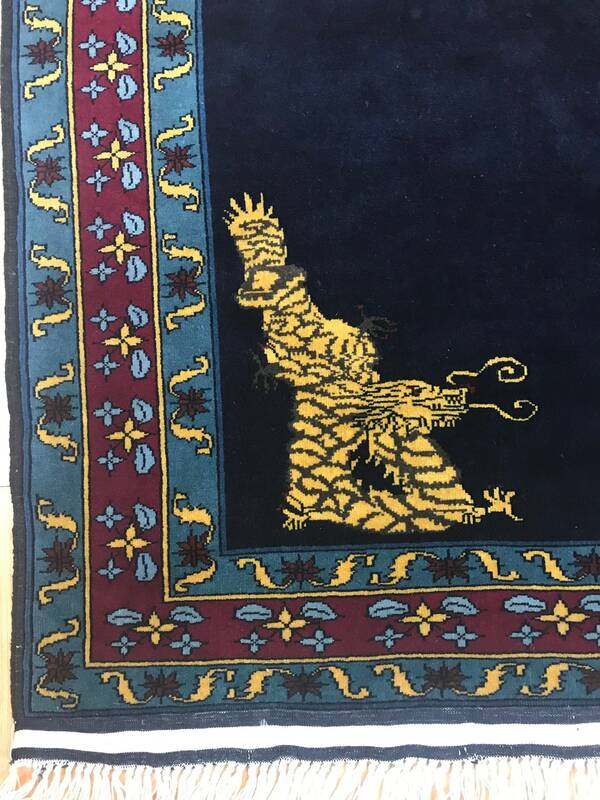 Actual Size: 3'9" x 6'2"
This one of a kind Oriental rug is a 3'9" x 6'2" Sino Chinese with a dragon design, circa 2000s. 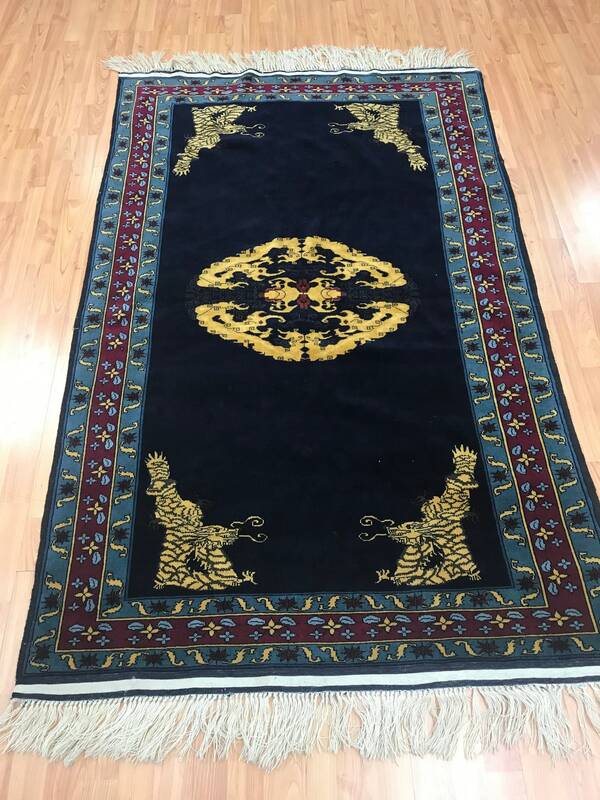 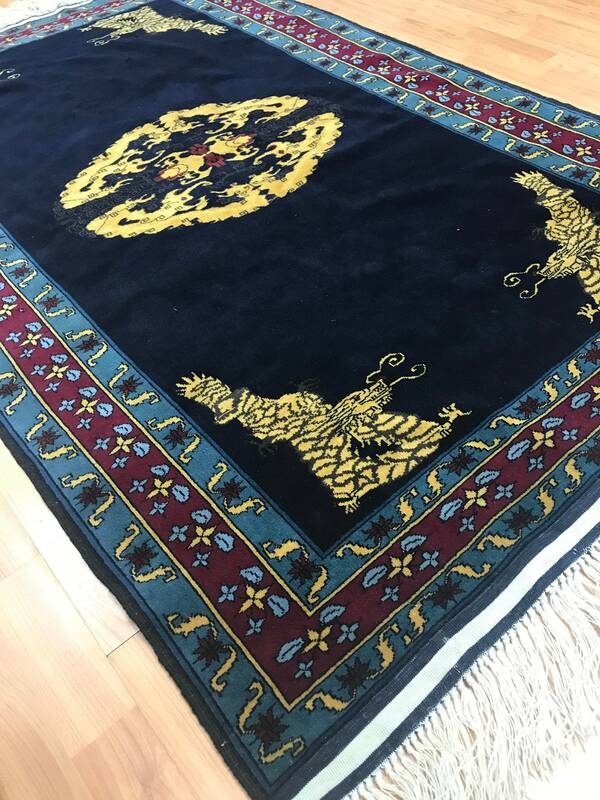 This hand knotted Chinese rug is made with a 100% wool pile on a wool foundation, is very fine and is in good condition. 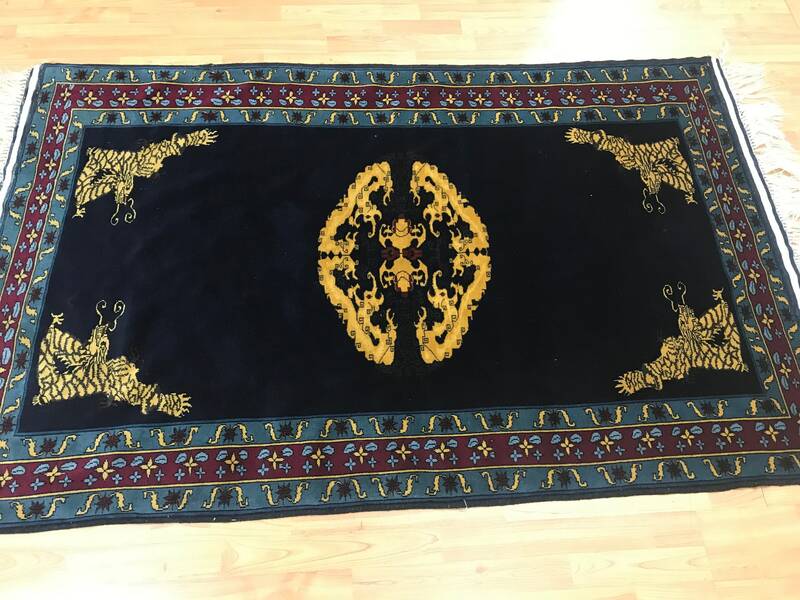 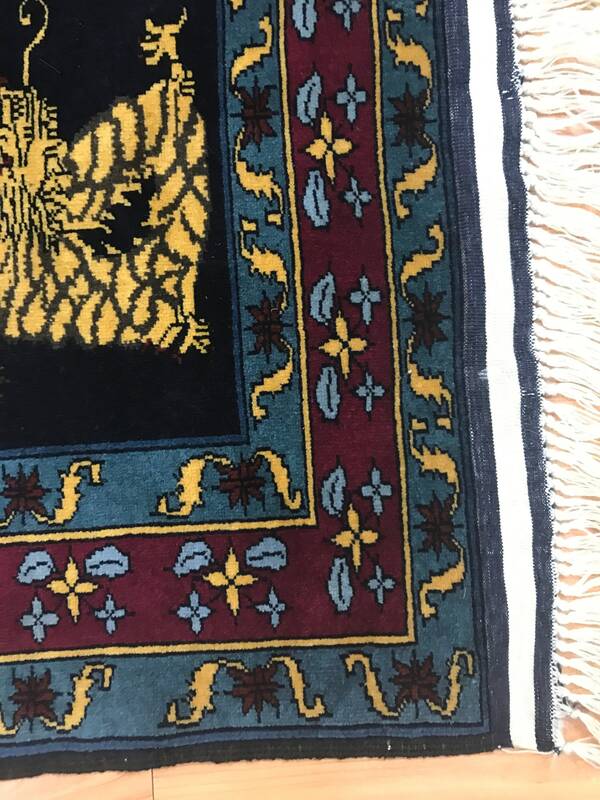 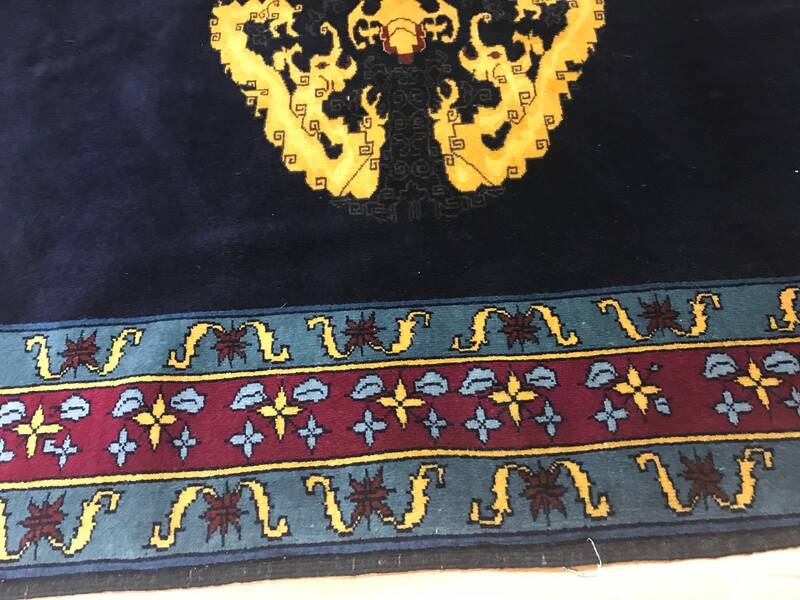 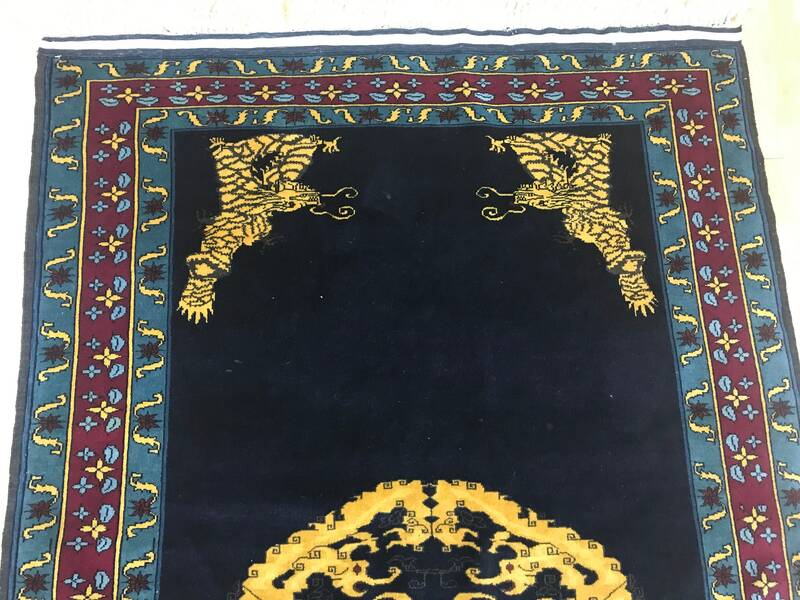 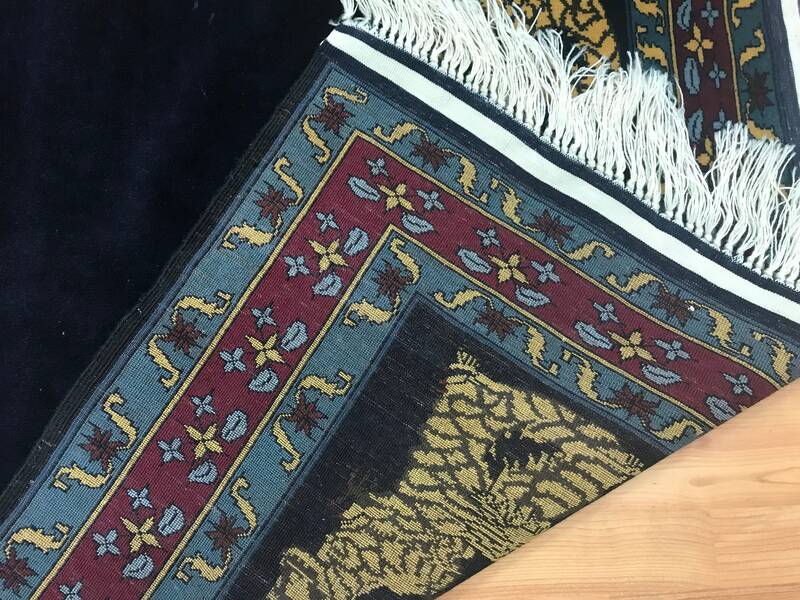 This rug has a dark blue background.